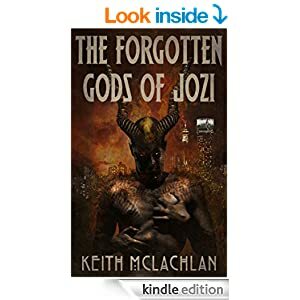 Here is a link to my new book: The Forgotten Gods of Jozi. He lifts the cold, jagged rock. It is heavier than he expected. And then, with all his might, he smashes it down on the exposed skull of the man standing with his back to him. A loud, sick thump rings out. It mingles with his shout and the other man’s surprised, brief scream. And then there is nothing but silence, broken only by his panting and the sound of blood rushing through his ears. The sky does not open up and the sun ignores him. The soft wind drifts by as the world carries on callously. Everything is the same, but everything is different. And a thousand, thousands years later the roar of Gorgion Tuesday erupts from a petrol station in upmarket Houghton – Johannesburg – his lover senselessly murdered in his arms. An old, cold evil stirs deep in the city under the African full moon, pushing back against the new nicotine-neon gods of modern man. Overlooking ancient battlefields now covered by complexes and shopping centres, a dark omen flies in through Old Man Mhlu’s window while Ragman Blue’s hypnotic song washes over a mortal crowd in a dingy bar in Fourways where dark things scuttle in the shadows.